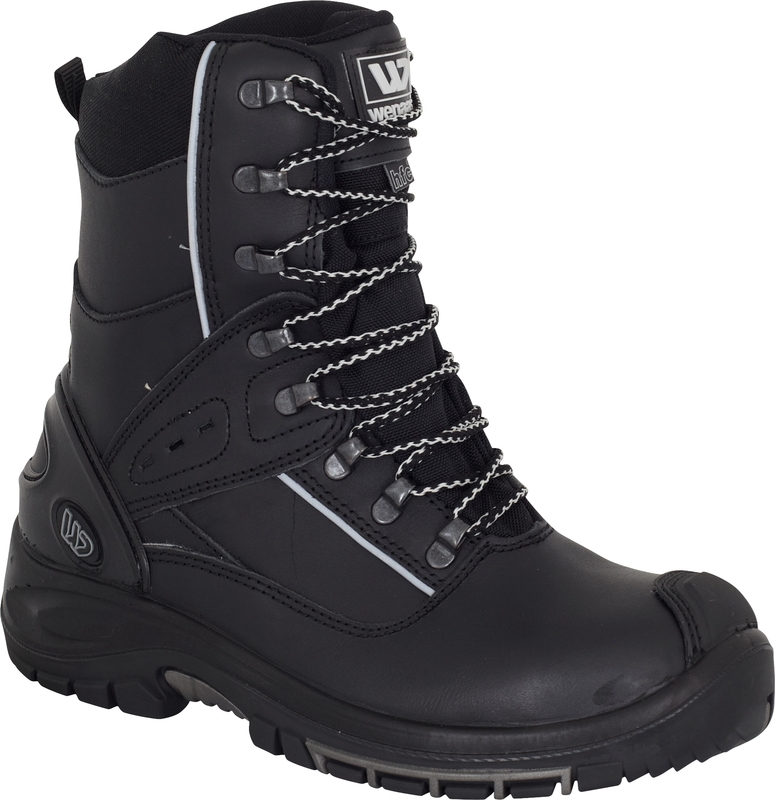 Lace boot lined with W-TEX membrane, waterproof and breathable. Upper in full-grain leather, silver-colored reflective details, and zip opening on side. Rubber/PU sole with shaft, with good anti-slip properties. HFC© gel in front and heel. Aluminum toe cap for better protection and slimmer design. Soft penetration protection. Removeable insole. Material: Upper: Full grain leather, polyamide. Lining: W-Tex. Outsole: Rubber/PU. Safety Toe Cap: Aluminum. Penetration Protection: Soft.